April 22 is Earth Day, the event when we tackle the challenges that face us as carers of our planet. However while raising awareness and promoting participation in community and environmental actions, Earth Day is also a catalyst for change. Many people — from children to the elderly — are inspired by Earth Day and become lifelong fighters for our planet, said Kathleen Rogers, president of Earth Day Network. “Millions of people in dozens of different countries will become lifelong environmentalists this and every Earth Day. Hundreds of thousands will be children – our planet’s future,” she said. More than one billion people throughout 192 countries celebrate Earth Day. These people aren’t special, they’re the same as you and me, yet they are environmental heroes and their stories are well suited to Earth Day. Here are three examples. 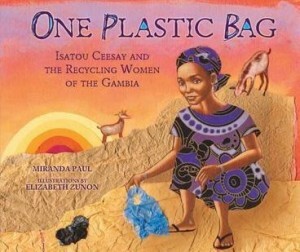 One Plastic Bag is the true story of Isatou Ceesay, the “Queen of Recycling” in the western African country of The Gambia. As a young girl, Isatou noticed how quickly plastic bags had multiplied in her local environment, choking gardens, roads and waterways. The plastic collected water, becoming a haven for deadly mosquitoes that carried disease. Isatou and her friends solved the problem by crafting the plastic into wallets, purses and other items for sale, transforming their local communities in the process. 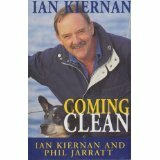 Famous yachtsman, builder and author, Ian became aware of the amount of rubbish dumped in the world’s oceans while competing in yacht races. Beginning in his hometown of Sydney, Ian started organising teams of people to clean up the mess. His determination and leadership has now seen the Clean Up campaign go international. Daniel Flynn and his colleagues in the Thankyou. 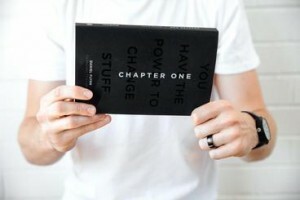 team have set up a remarkable charity, the story of which is documented in the book Chapter One. The book tells the story of the Thankyou social enterprise which has achieved enormous success by providing an alternative in such products as snack bars, bottled water, cereals, soaps and sanitisers. Funds raised from sales go towards charitable causes and consumers can track the impact of their purchases through a unique code on each product. These are just three examples of ordinary folk who have become true leaders, true activists for our planet. Through their books, we can see how they continue to change the society in which we live. Why not use these people as examples of how you can make a difference this Earth Day and beyond?